Honoring traditional Guatemalan weaving techniques, textiles are handwoven by Mayan artisans. 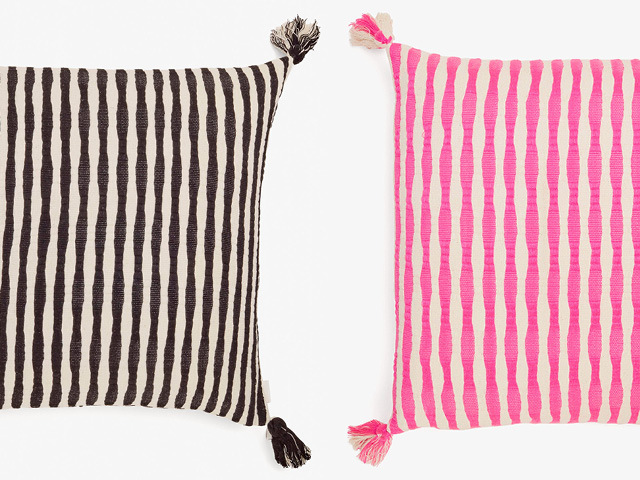 Striped cotton pillows with fringe are crafted on a foot loom, employing an entire Antiguan family. Named for the villages in which they are made, designs reflect the traditional weaving patterns native to each village. Created in partnership with a non-profit organization on Lake Atitlan, Guatemala.